Treat yourself to a day of inspiration! Join MDPPA members Steve Clark, CPP, Cr.Photog. and Anne Looney, CPP, at the newest addition to our nation's museums, the Smithsonian National Museum of African American History and Culture, on Friday, March 10th for a refreshing day of reflection, discussion, and discovery with your colleagues. This is a member event - if you are not an MDPPA member, join MDPPA now and register to attend! Every generation of artists is affected by culture and history, as well as the work of our peers and predecessors. Enhance your creativity and apply it to your business as you spend the day exploring the museum on your own or with others of the group. Anne and Steve will distribute some materials for you to reflect on during your visit, since we recommend that everyone plan to experience the museum at their own pace. The whole day is yours to explore the many exhibits in the museum. We will gather with anyone who would like to meet up for lunch in the popular museum restaurant, and invite people to end their day when they like. This free class is for everyone who is inspired by great art, history, and culture, no matter the medium. Join us! Registering soon for this outing is essential as this is first come first served. It is very difficult to obtain passes to this museum, and this opportunity is arranged through a special group pass for MDPPA. The pass is limited to 20 people, who must enter all at the same time. By registering, you are agreeing to be present in line with us by 9:40am. In the event that you are unable to attend after you have registered, please notify us immediately so that we may offer the opportunity to someone else. Thank you! Please feel free to contact Anne Looney with any questions: annekelleystudio@comcast.net. 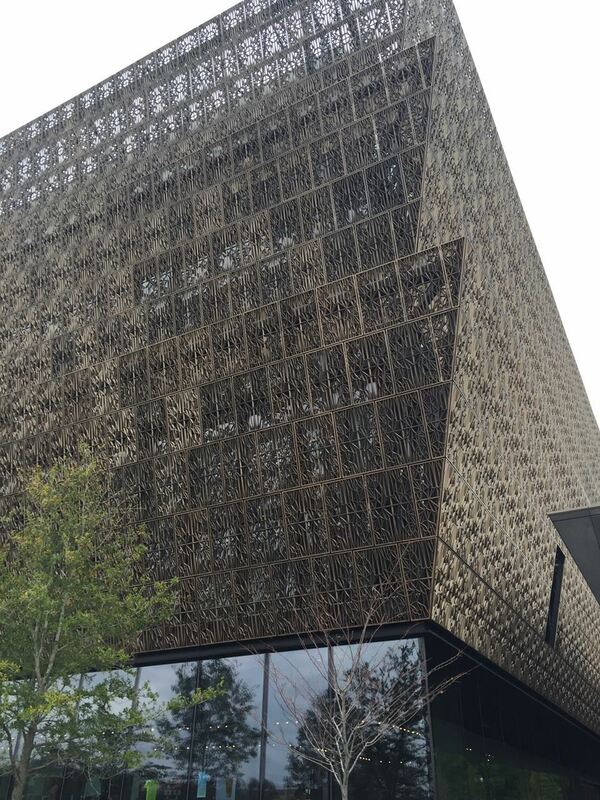 To see the website for this museum: https://nmaahc.si.edu and ten things to know about your visit and some parking information for all Smithsonian institutions.